anyone who "is going" should invite all they know, I've already gotten some of my friends interested! This week, April 29th through May 5th, begins the journey to move out of the old environment and into the realm of change, breakthrough and freedom. Many situations will be releasing us from the grips of the past and our way forward will become a reality. Moving toward the new environment, circumstances and reality, we have the changes that need to break us free from the past, with many of the circumstances going back to 2008 as the ONE year for this current NINE-year cycle. Tuesday, Moon connects with Mars, to usher in the new month of May, a ONE month. The New Beginnings become the jumpstart that is needed to shift our pace as we sail out into the open ocean. Finally ready to have the opportunity to move forward unencumbered and full of passion, purpose and inspiration. Friday as Moon connects with Saturn, we are reminded that we have the need to put our intuition to work, providing the guidance and inner direction. Saturday the Full Moon in Taurus/Scorpio brings many things onto our shore dealing with values, to make the choices about the new directions that are pulling us forward. Additionally, Mercury connects with Saturn to implement these decisions. These decisions stem from April 15th as Sun connected to Saturn to shine the light on the decisions that we need to make. The time of movement for these decisions into reality is on May 5th as Sun shines the light onto the purpose and perfect timing for these decisions to unfold. 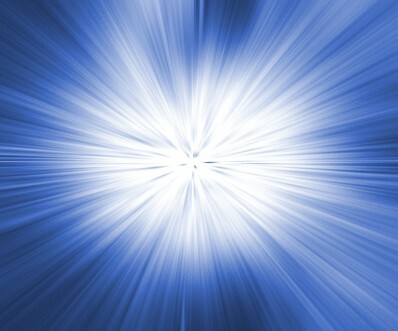 May is universally a ONE month, which opens the door to change, breakthrough and freedom, the very purpose of 2012. The months leading up to May are those that have provided various aspects of change to help to break open the options and opportunities that will emerge all year long. The month of May becomes the hallmark of new beginnings as the scenery changes, the terrain shifts, the environment unfolds new opportunities as the ultimate breakthrough provides freedom from the past. May has several aspects that bring forward the new stage of events and purpose. The Solar Eclipse on May 20th in the early degrees of Gemini becomes the emphasis to the changes that are emerging. The empowering New Moon beckons the changes and the continual options that take us away from the past situations that have kept us encumbered. These new beginnings open many doors with each providing options and opportunities. The Solar Eclipse in Gemini heralds in the official announcement of changes to many situations. The Venus retrograde from 23 Gemini to 7 Gemini make the adjustments and resolutions to the current issues. This combination brings forward many dynamic events that give us a new sense of self, passion and purpose. Interesting! I can confirm most of this intel. WoW. It's a beautiful thing. Thanks so much for this confirming info. Definitely feelin it. There's a great astro analysis video by Carl Boudrou on youtube that's chock full of info and talks about the astrological complexity of the month. Recommended viewing. Cobra, do these arrests include The Vatican,Queen E, Bilderberg Group and any not mentioned? I would like to know how long must the meditation last? I sent a message to Avaaz about this, if they post it...awesome! 14 million members will see it!